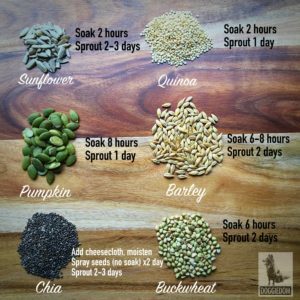 Sprouting seeds to add to your dog’s regular meals. 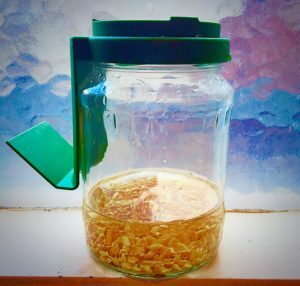 (Makes 1-3 serves of sprouted seeds) Store in fridge once sprouted and use within 3 days. 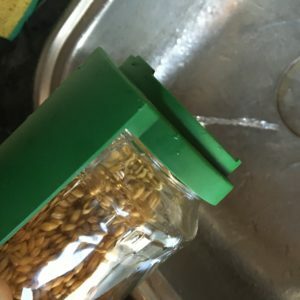 Pour fresh, filtered water until they cover the seeds by a couple of centimetres. 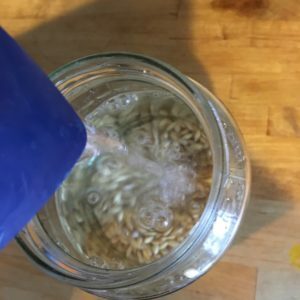 Soak for the recommended time (at least two hours plus – generally the bigger the seed/bean, the longer the soaking time). Drain the water from the jar and drain out all the water (some sprouting jars have a special stand or you could use a freestanding dish rack to help with the drainage). 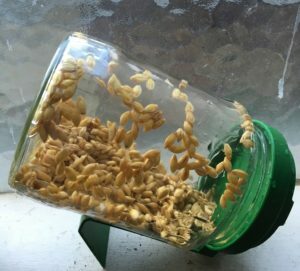 Place the drained jar in its elevated position with the seeds even spread against the sides and place on the kitchen counter. 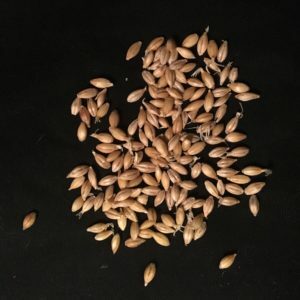 Ensure there is no excess water that the seeds are sitting in or they will rot. 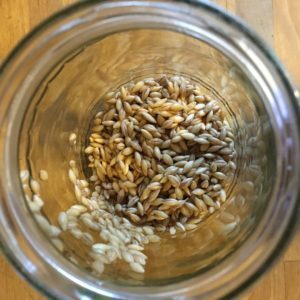 Rinse and drain the seeds, returning to the elevated position twice a day until the sprouts are at the desired stage for adding to your dog’s (or your own!) food. Serve about an 1/8 cup of sprouts per 5kg of body weight. 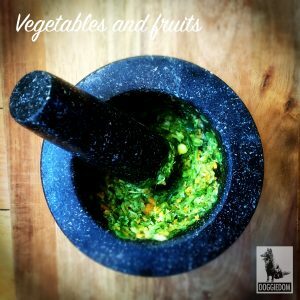 Crush them up in a pestle and mortar and add with your vegetable mix for an additional nutrient hit. Beyond home remedies – time to see a dog care specialist!